Ahead of Sunday’s Super Bowl, in partnership with LGT Vestra US, the Jacksonville Jaguars have announced a scholarship scheme to offer two young UK-based American football players the chance to win a university scholarship. 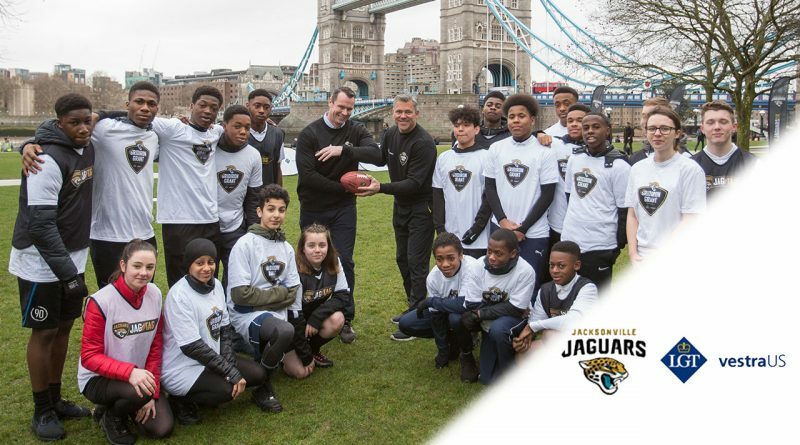 Super Bowl WINNER and Jacksonville Jaguars legend, Mark Brunell took a session of Jag Tag (a miniature version of American football) in the iconic location overlooking Tower Bridge with a group of local young people involved in the scheme. The scholarship has been supported by award-winning head teacher and top education consultant, Sir William Atkinson along with board members from LGT Vestra US and the Jacksonville Jaguars. Continuing investment into UK sport, the Gridiron Grant University Scholarship demonstrates growing appetite for NFL in the UK. The Jacksonville Jaguars, the UK’s NFL home team, and Official UK Founding Partner, LGT Vestra US, have created a unique new scholarship opportunity called the Gridiron Grant. The Gridiron Grant is a first of its kind sports scholarship programme in the UK, offering a university scholarship to two students graduating from the specialist Jaguars JagTag programme, or who are involved in American football in their community. After completing their best season since 1999, reaching the AFC Championship Game earlier this month, the Jacksonville Jaguars with wealth management firm LGT Vestra US have kicked off the Gridiron Grant initiative with a training session held by former Jacksonville Jaguars quarterback and Super Bowl winner, Mark Brunell. The NFL legend, who is now Head Coach at Episcopal School of Jacksonville, was on hand to show his skills and teach a group of up and coming JagTag players some tricks of the trade while overlooking London’s iconic Tower Bridge; demonstrating the partnership between American football and the thriving community of young people playing it in the UK. 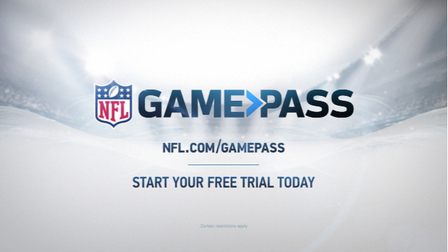 Students interested in the scholarship opportunity have until April 20th 2018 to apply for the Gridiron Grant, at which point a panel of experts that includes LGT Vestra US executives, Jaguars representatives and an award-winning head teacher will select the recipients based on a range of criteria such as academic achievement, participation in American Football, commitment to the community and a demonstration of personal endeavour. The inaugural winners of the Gridiron Grant will be announced later this year following the completion of the academic year. Once at university, students will also be provided with a fully integrated mentoring process to aid with stress and time management and support required to help them graduate. 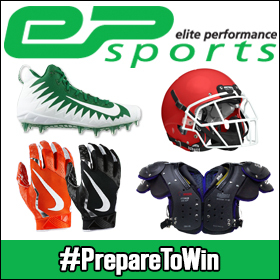 To apply for the Gridiron Grant please visit: http://www.gridirongrant.co.uk. Photography (c) Jacksonville JaguarsThis season the Jaguars finished with a record of 10-6, clinching the AFC South and scoring their first winning season since 2007 and sending them through to the Super Bowl playoffs for the first time in a decade. 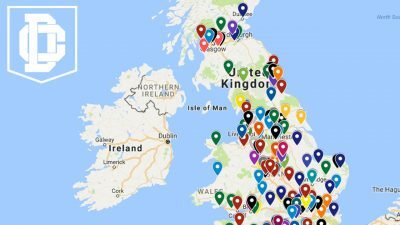 The 2017 season will go down as one to remember for Jaguars fans across the world, and 2018 could be even better for two lucky British American football players thanks to the new Gridiron Grant. This announcement follows the first commitment from the Jaguars and LGT Vestra US, which previously introduced the Reward Rows initiative that saw more than 500 children who had completed the programme earn the chance to go to Wembley to watch the Jaguars v Ravens in September last year for free. The Jaguars and LGT Vestra US are committed to continuing to collaborate on community projects as a key pillar of their partnership with the aim of generating a positive impact on the sporting community in the UK through a range of American football related activities, fostering further growth of the game at a grassroots level and importantly providing opportunities for young people to prosper.